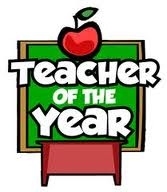 You can now nominate a deserving teacher for People magazine's Teacher of the Year contest. Click here for more details. Speaking of deserving, how 'bout those Rangers in triple overtime? Wow!